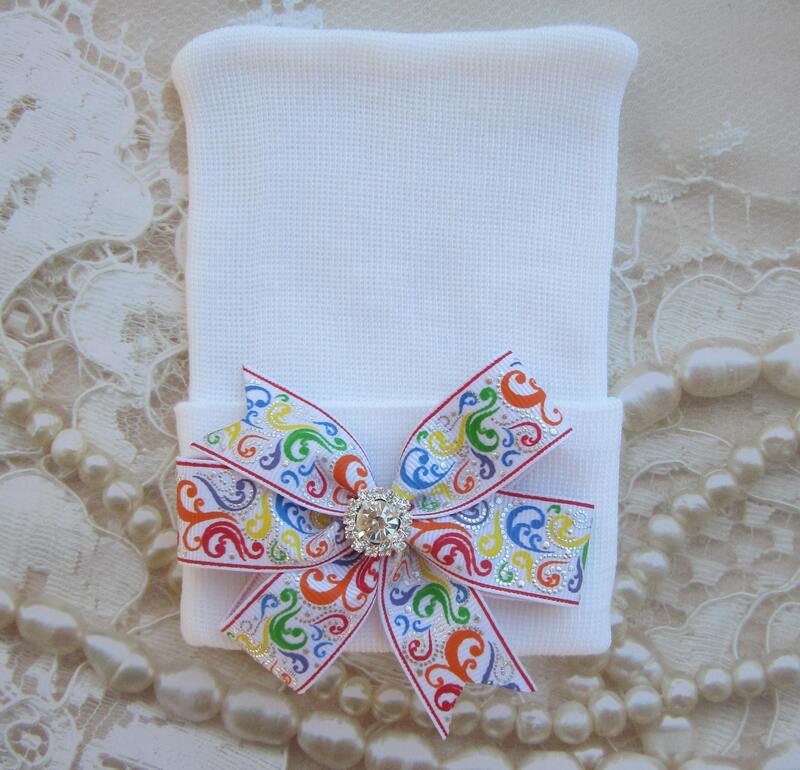 This rainbow baby newborn hospital hat has a ribbon bow with silver swirls and a small rhinestone. Our base hat that we add bows and decorations to are double ply and are hospital grade, from certified hospital suppliers. They are super soft and stretchy and do not need to be pre-washed.